Make mornings easier & healthier with these grab ‘n blend vegetable smoothie packs in 4 delicious flavours: Chocolate Beet, Vanilla Green, PB Banana, and Blueberry! Just add your choice of milk! Mornings are hectic! People always tell me they want to eat healthier breakfasts, but don’t have the time to prep food in the morning. Breakfast ends up being a quick slice of toast before running out the door. This is a lost opportunity for fruits and veggies! Nearly 90% of Americans are NOT meeting the recommendations for fruit and veggie intake! Nearly 90% of Americans are NOT meeting the recommendations for fruit and veggie intake! 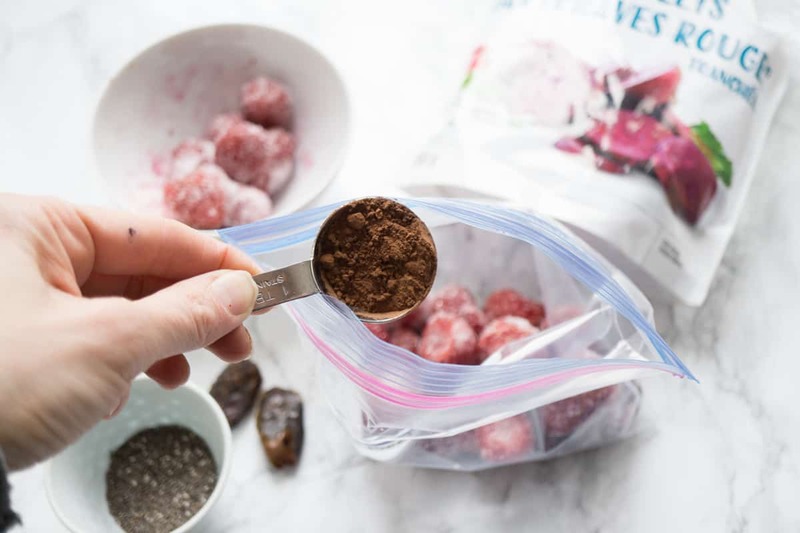 What are vegetable smoothie freezer packs and how do they work? 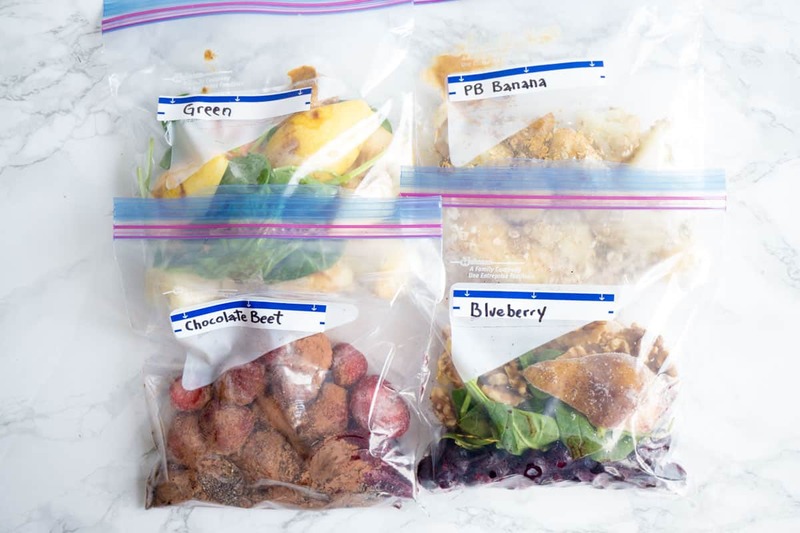 To make vegetable smoothie freezer packs you just assemble all the solid ingredients of a smoothie into individual ziplock bags and stick those into the freezer. 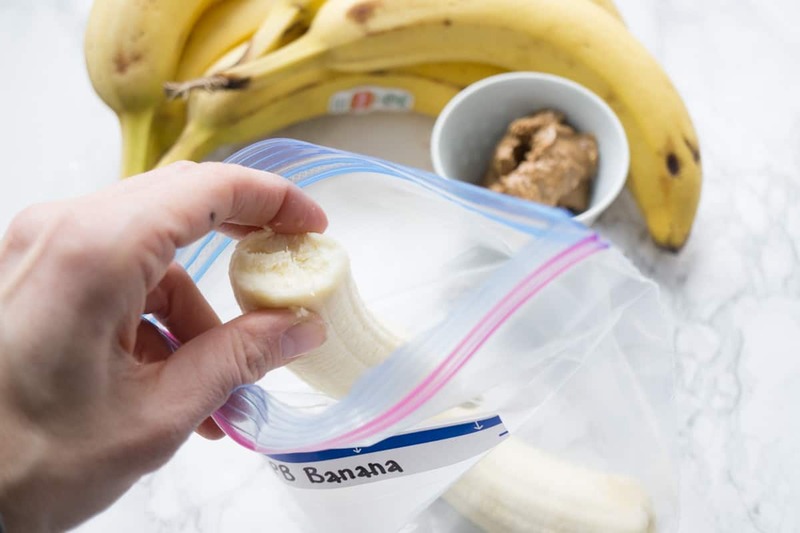 When you want to make a smoothie, you can just grab a bag, dump the contents into a blender along with your choice of milk, blend, and enjoy a nourishing breakfast! With this free download you will get a grocery shopping list, individual recipes, and instructions for filling the freezer packs. What benefits do the vegetable smoothie freezer packs provide? EACH smoothie will give you (on average) 2.5 servings of fruits and vegetables! That means you will be well on your way to meeting your goal of 7 servings before you even hit that morning coffee break! Two are blog fan favourites while the other two are brand new recipes I created just for you! Will I taste the veggies? I call them ‘veggie smoothie packs’ but they are definitely more fruit-forward! Yes, you can taste the veggies slightly, since I didn’t just want to put in a few leafs of spinach and call it a day. You’d hardly get any benefit from that! Let’s put it this way: there are enough veggies to legitimately count as a serving, but there aren’t so many that the smoothie tastes weird! The sweetness of the smoothies is entirely found in whole foods: fruit and milk. If you find they aren’t sweet enough, you can add your choice of sweetener: honey, maple syrup, agave, stevia, etc. One benefit of making smoothies this way is that you can customize the sweetness, and gradually adjust it down as your tastes develop. When I first started drinking smoothies in high school I would use sugar sweetened yogurt AND honey AND didn’t add any veggies! My palate was accustomed to a high level of sweetness! I’ve worked to acclimatize my tastebuds to a lower bliss point, so I now find these smoothies plenty sweet without any added sugars. It all depends on your palate! If you want to learn how to lower your sugar intake through training your tongue to enjoy less sweet foods, check out this article. How long will the vegetable smoothie freezer packs last? For best quality, use within 3 months. As far as food safety goes, they will last indefinitely if kept frozen. Are these vegetable smoothies suitable for kids? Sure! Since there are no added protein powders in the recipe itself, these are a great choice for nearly everyone, from toddlers to teens to seniors! You can use your choice of milk or alternative! I’ve tested these with dairy milk and X. There are far too many “mylks” on the market for me to have tested them all! The sheer number is overwhelming, isn’t it? That’s why I’ve created a guide to help you decide which milk or alternative is best for your specific nutrition needs! You can read the guide here. 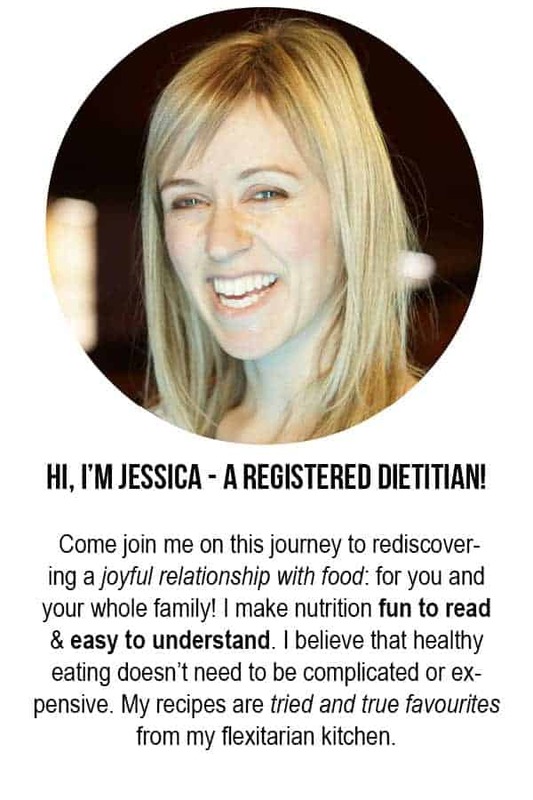 Now just enter your email address and you’ll be on your way to getting more fruits and veggies into your day!